Lawyers share their tips on how to stay away from posting potentially libelous tweets. Vincent Filardo Jr. is a Partner at the law firm Mishcon de Reya New York LLP. Aimee R. Kahn is an Associate at the law firm Mishcon de Reya New York LLP. Social media’s massive reach assists in the speedy flow of information. Its proper use can give you great credibility and a competitive edge when your business requires fast dissemination of information. On the other hand, when you or someone associated with you commits a social media blunder, you may be held legally responsible. Defamation is a legal claim involving injury to someone’s reputation by falsely stating a fact and includes both libel (the written word) and slander (the spoken word). “Twibel,” a libelous tweet, is fast becoming a concern among social media users. Fortunately, there are a few basic precautions that may reduce the risk of Twibel. 1. Always consider the context of your message before posting. A court will rely on both context and common sense to interpret the meaning of your message, and the interpretation may not coincide with your intention. 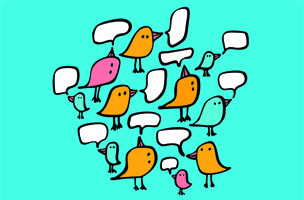 Although recent judicial decisions suggest that tweets typically contain opinion rather than statements of fact, as more courts become accustomed to claims from statements made through social media, it is likely that initial protective bias will begin to disappear. 2. If you want to retweet content, read through it carefully and check all factual statements before posting. Most states recognize the “single publication rule,” which means that the period in which a claim for libel must be filed begins from the time the defamatory statement is first published online. This rule enables the original publisher to assert a statute of limitations defense for claims arising from statements it republishes (or retweets) after the limitations period expires. However, if someone other than the original publisher retweets the statement, that person will be considered a new publisher who cannot rely on the single publication rule. 3. If you modify a tweet, be careful about adding new hashtags that could alter the meaning of the original message. Even if the original message may not be libelous, the addition of hashtags could alter the context of the tweet and transform it into Twibel. For example, if a journalist tweets “NY Post reports [professional athlete] arrested for domestic violence,” and a Twitter user re-tweets the statement but adds the hashtag “#felon” to the end of it, that transformed statement could be considered false and defamatory. 4. Be careful to ensure that your summaries are accurate when you have to boil them down into a 140-character tweet. If you tweet a link to another site to expand on your story, be careful not to add commentary that would change the meaning of the embedded article. Adding content to an otherwise benign publication can create Twibel. 5. In terms of reporting on social media, perform sensible checks that the person or source you are tweeting about or retweeting from is credible. A quote or retweet may be libelous even if you believed in good faith that the source was credible or the underlying statement was true. You cannot hide behind a quotation or re-publication of an existing tweet. 6. You are responsible for your tweets. You are not immune to liability simply because you are not a professional journalist. A recent court decision indicates judicial willingness to apply traditional defamation principles to potentially libelous tweets from all social media users. 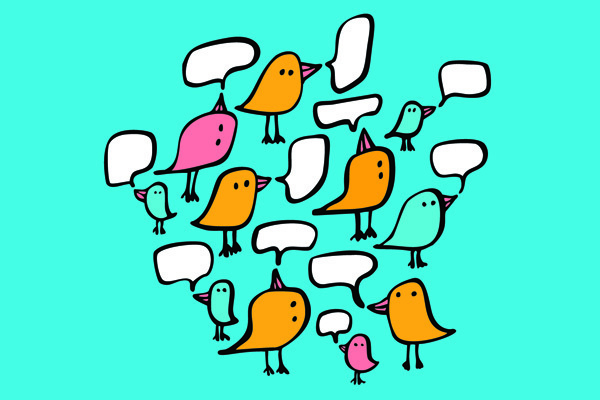 Private individuals publishing content in non-traditional forums, such as on Twitter, should not expect to be treated differently from traditional publishers. The information and materials on this blog post are provided for general informational purposes only and are not intended to be legal advice. The law changes frequently and varies from jurisdiction to jurisdiction. Being general in nature, the information and materials provided may not apply to any specific factual and/or legal set of circumstances. No attorney-client relationship is formed nor should any such relationship be implied. Nothing on this blog post is intended to substitute for the advice of an attorney, especially an attorney licensed in your jurisdiction. If you require legal advice, please consult with a competent attorney licensed to practice in your jurisdiction. Past results are no guarantee of future results.